take care of you, and get paid for it. 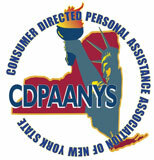 FreedomCare is a contracted provider of CDPAP NY, a Consumer-Directed Personal Assistance Program that allows people to hire and manage their own caregivers. When you enroll in CDPAP with FreedomCare, you get consistent care from a person who loves you. Understand what CDPAP is all about in this 2 minute video. What is the CDPAP Program? Maria is 82, and she cannot manage alone. take her to doctors' appointments. She needs a kind person to help her bathe, groom, and get around. She got an agency aide for a while, but it didn’t work out. Maria is sick of getting a new aide every three weeks. She needs someone reliable, for the long term. Someone who won’t watch TV all day. Julia is 48 years old, and she’s sick with worry. She knows that many agency aides don’t have her mom’s best interests at heart. But she can’t afford to take off more hours from work. Julia knows her mother’s care is not a game. Mom needs someone who’ll help her maintain her diet and go to critical medical appointments. Mom needs someone who’ll ensure that she’s groomed, stimulated, and well-nourished at all times. Mom needs someone who isn’t doing the bare minimum. Someone who will bring her real JOY. What if Julia could afford to take care of Maria — and ensure her mom’s greatest quality of life? With CDPAP by Freedom Care, your loved ones can get paid for the care they give...and spend even more (paid) time bringing you joy. "After my last stroke, I needed full-time help. I’ve worked all my life, and it was hard to be needy. But FreedomCare eased the transition. They are warm and caring, and they showed me that it’s okay to need help." "I was unhappy with the service I was getting from my home attendant. Now I’ve got a family member helping me, and I am so comfortable."